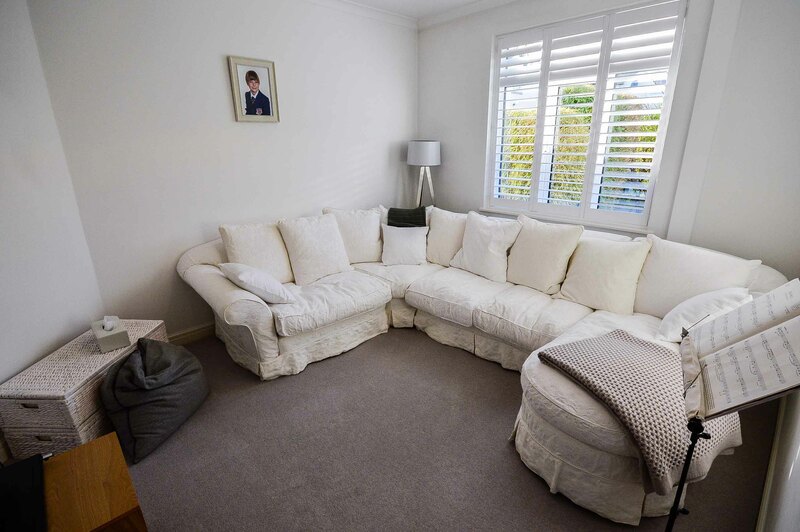 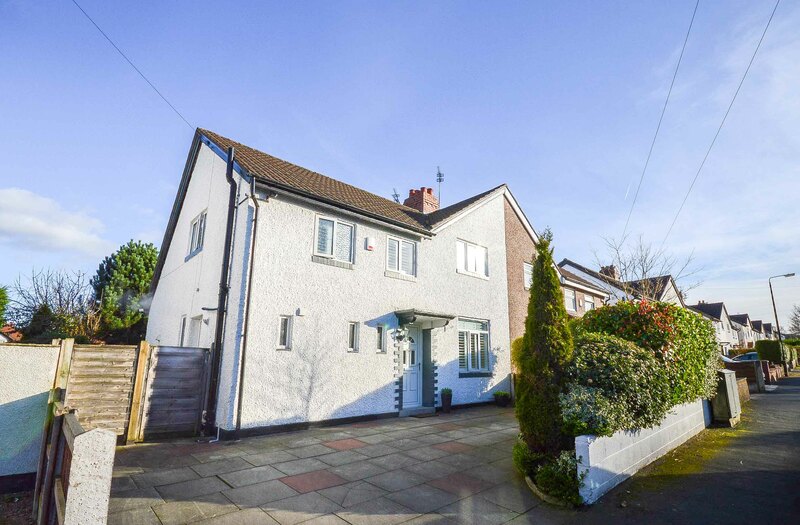 An immaculately presented, fully modernized and tastefully updated and improved Semi-Detached, family home with superbly proportioned rooms throughout. 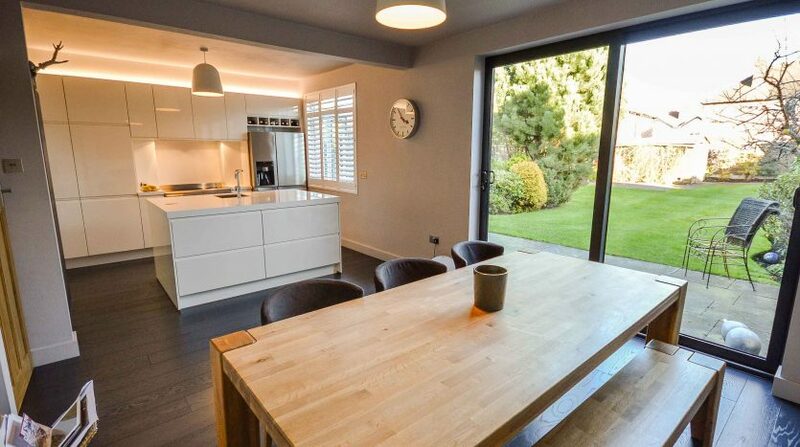 Boosting spacious open plan family dining-kitchen; separate utility room; downstairs shower and WC; large south facing garden; off-road parking and three double bedrooms. 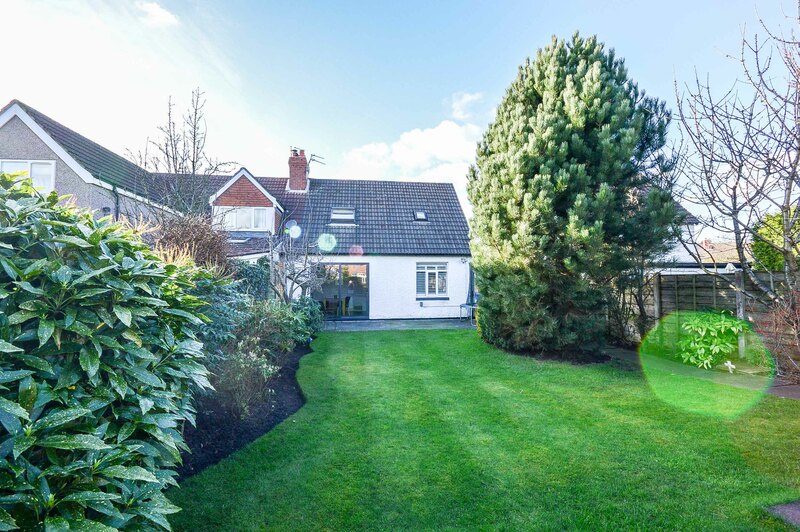 The property is a turn-key purchase with new gas fired central heating, recently re-wired, extended to the rear; planning approval for further extension and double glazed windows. 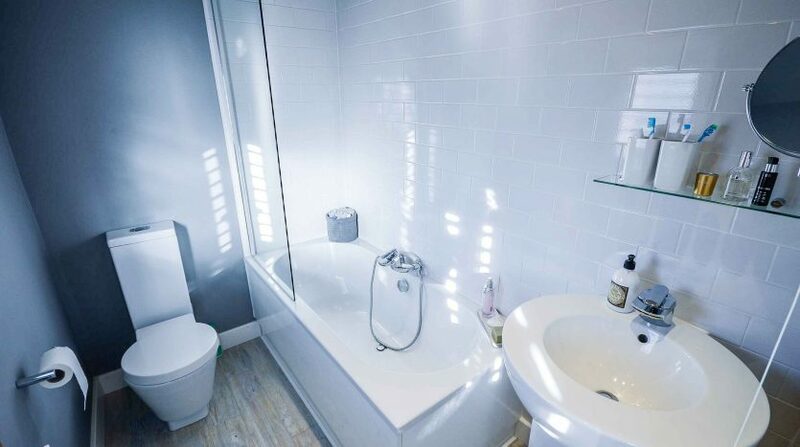 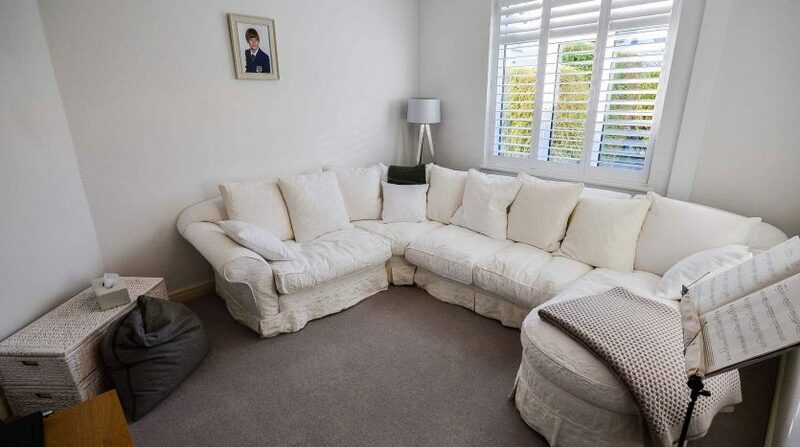 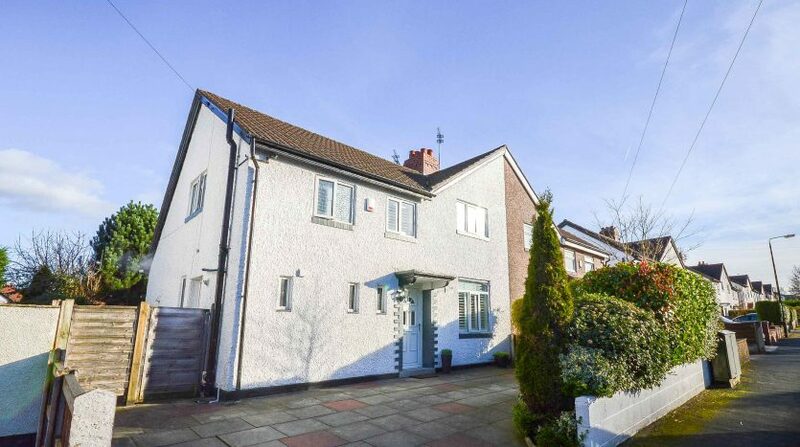 This property is situated in an ideal location for both Altrincham and Hale. 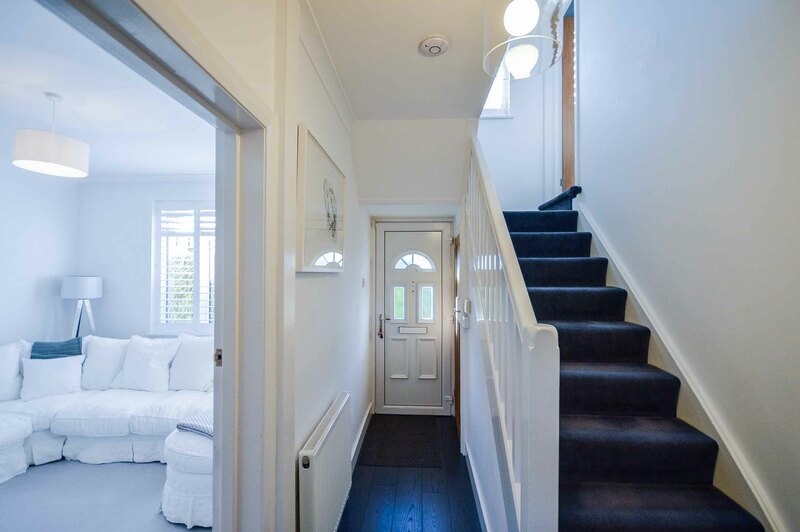 Built in the 1920’s to a traditional design; this attractive semi-detached home features rendered elevations and cottage style windows all adding to its character. 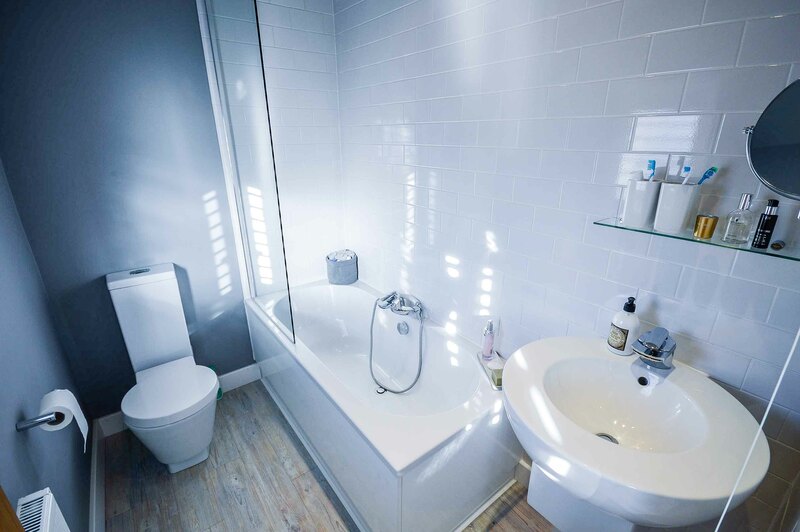 In recent years the interior décor has been revamped and is tastefully presented, and also benefits from gas fired central heating and PVCu double glazing. 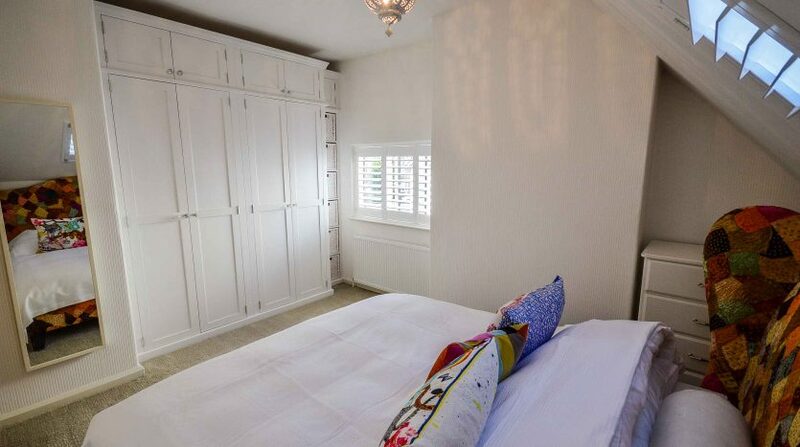 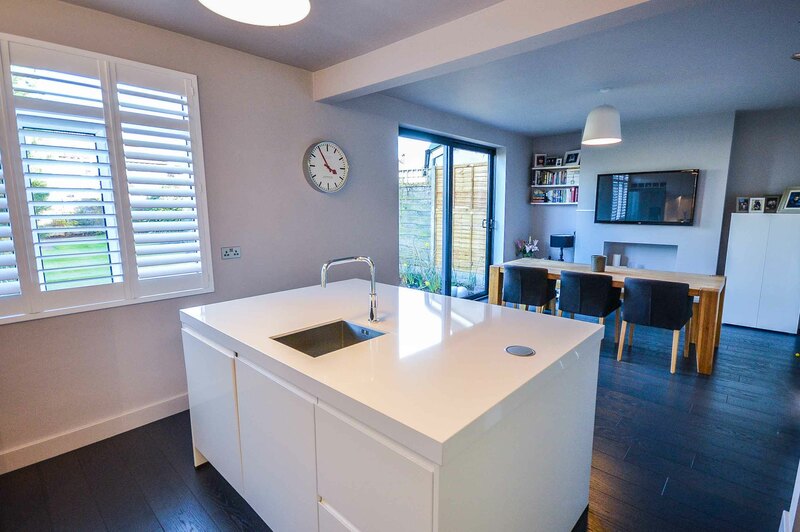 All windows have stylist and practical plantation shutters, double sliding doors open to the rear garden; with modern kitchen and bathrooms. 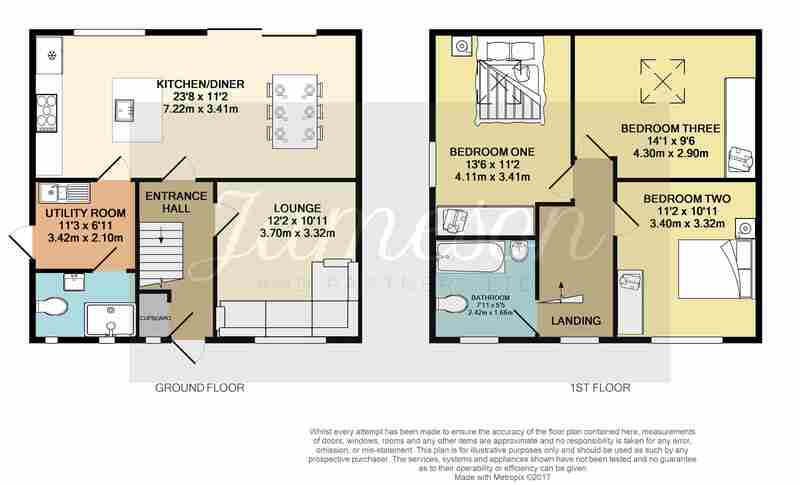 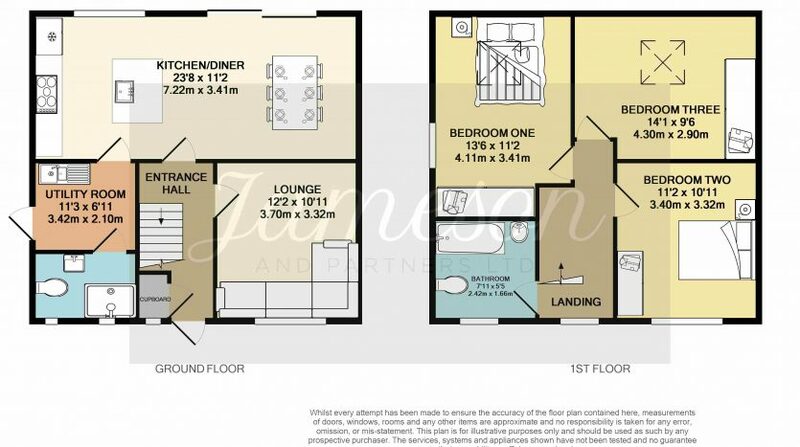 To the ground floor there are two receptions rooms of generous size and dining- kitchen fitted with a complete range of units together with integrated appliances. 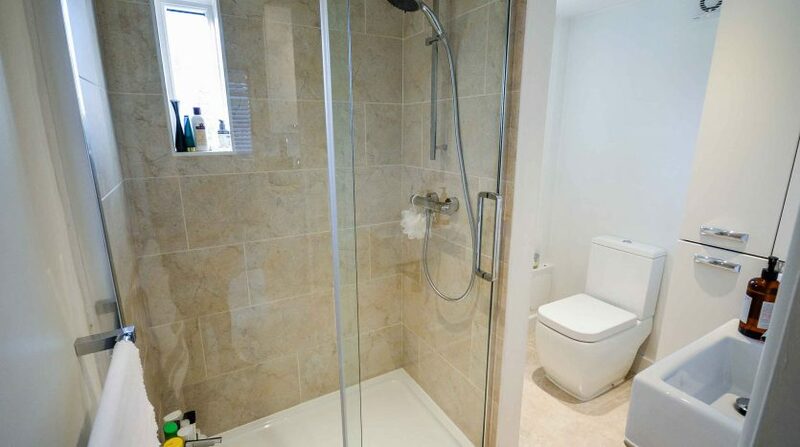 Utility room and shower/WC room are entered off the kitchen. 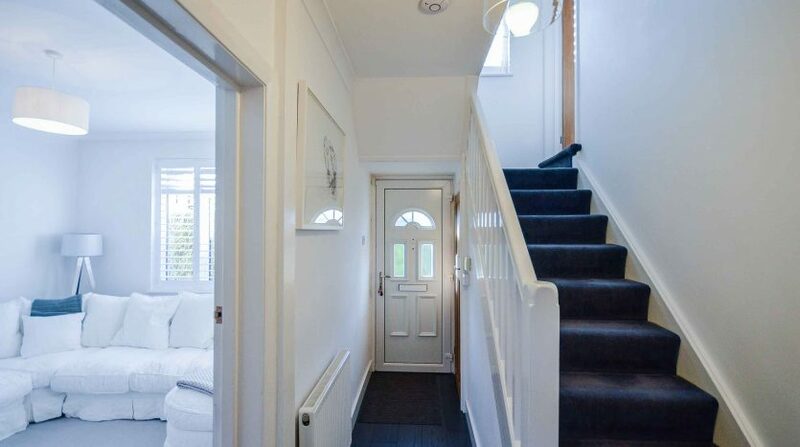 New flooring has recently been laid throughout this property, with practical laminate flooring in downstairs rooms and new carpets to stairs and upper landing. 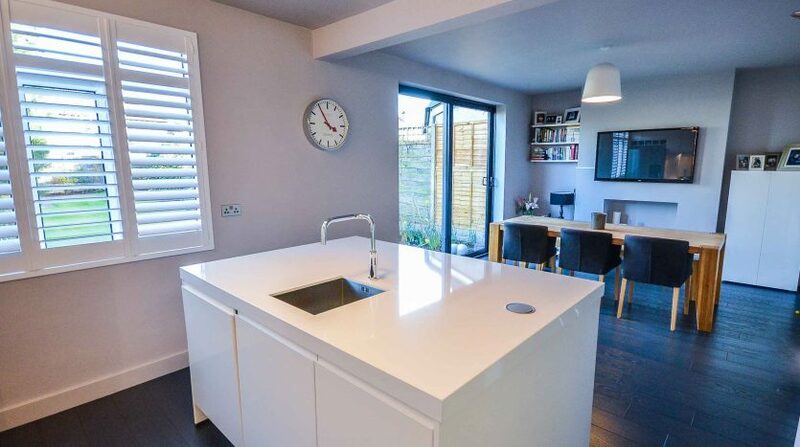 The dining -kitchen is bright and spacious with UPVc double glazed window and double sliding doors to rear garden. 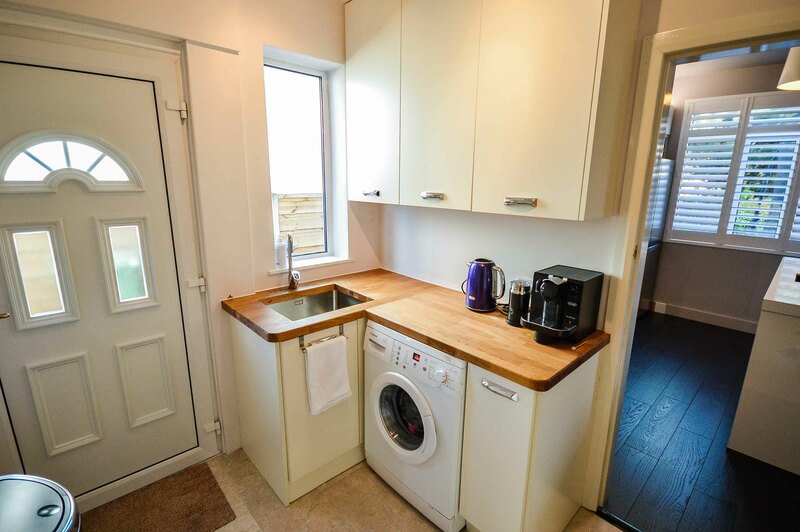 Solid wood fitted kitchen units at base and eye level, fitted appliances and island with power point and sunken sink unit. 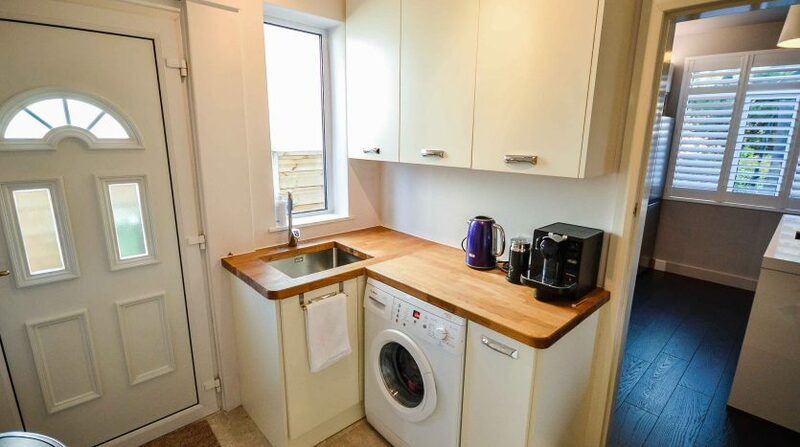 Integrated appliances including a double oven and coordinating gas hob with extractor fan over and integrated dishwasher, fridge and freezer units. 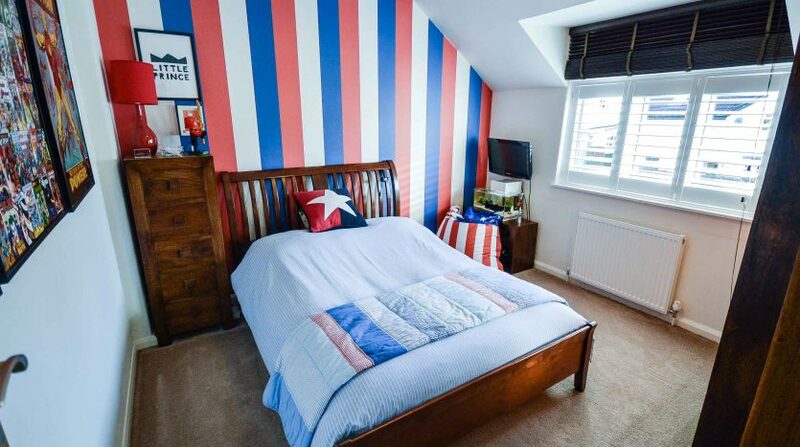 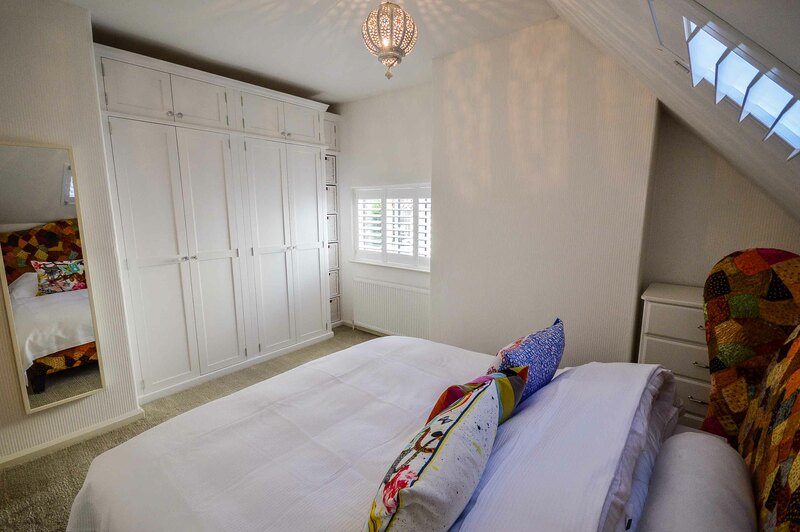 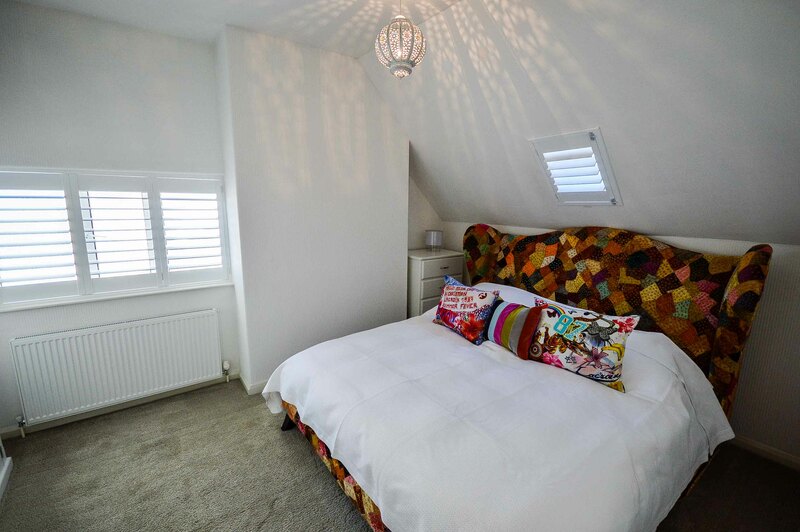 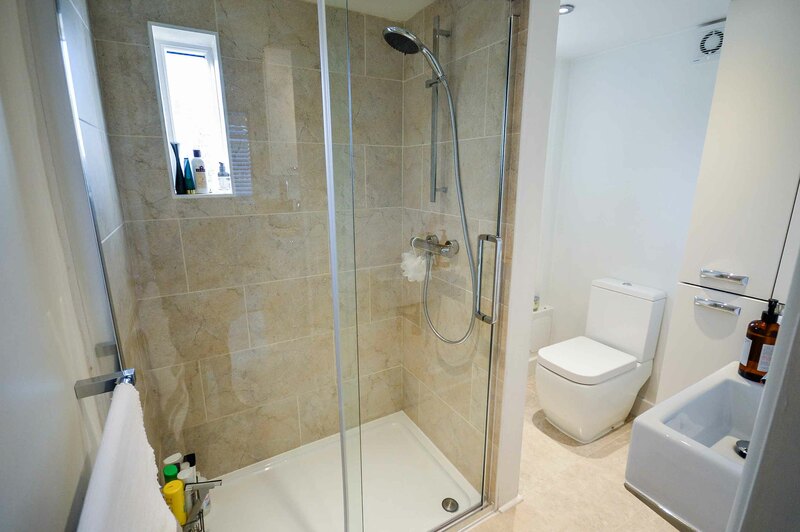 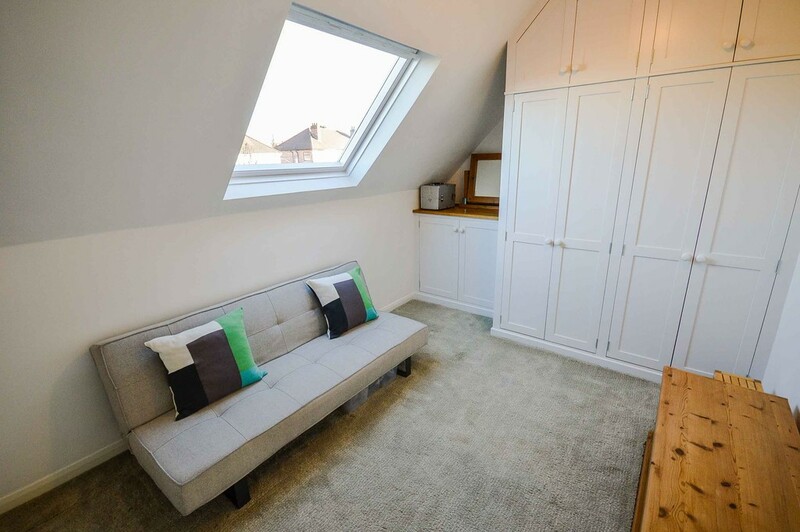 On the first floor there are three genuine double bedrooms, tastefully decorated and fitted with solid wood high quality wall-to-wall-ceiling-to-floor wardrobes, and quirky sloping ceilings and a refitted bathroom/WC. 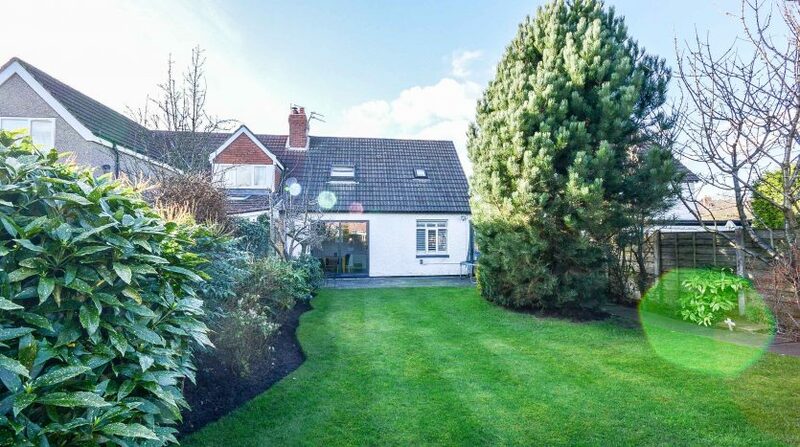 Externally there is parking space within the paved garden to the front. 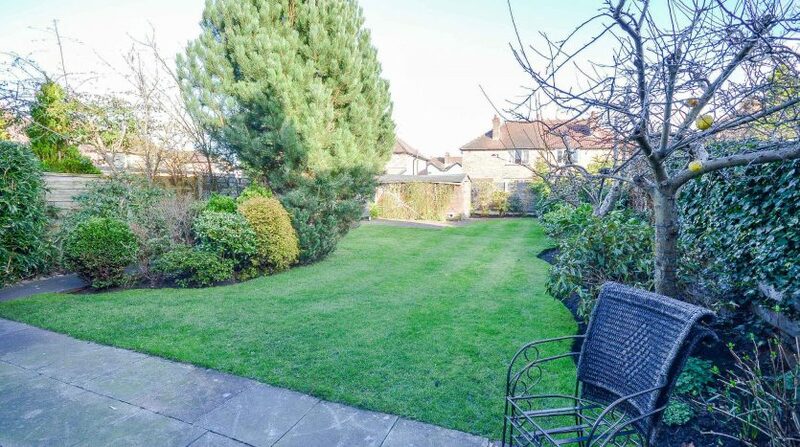 The rear gardens include a full width paved space, leading out to a tendered grass lawn, with beyond the lawn surrounded by well stocked borders screened by mature trees and shrubs and bushes. 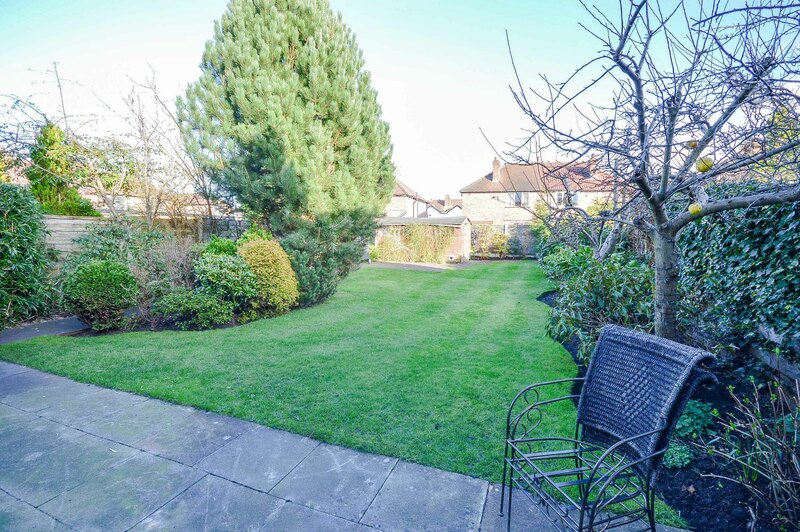 The gardens also include a variety of fruit trees and create a delightful outlook from the dining-kitchen. 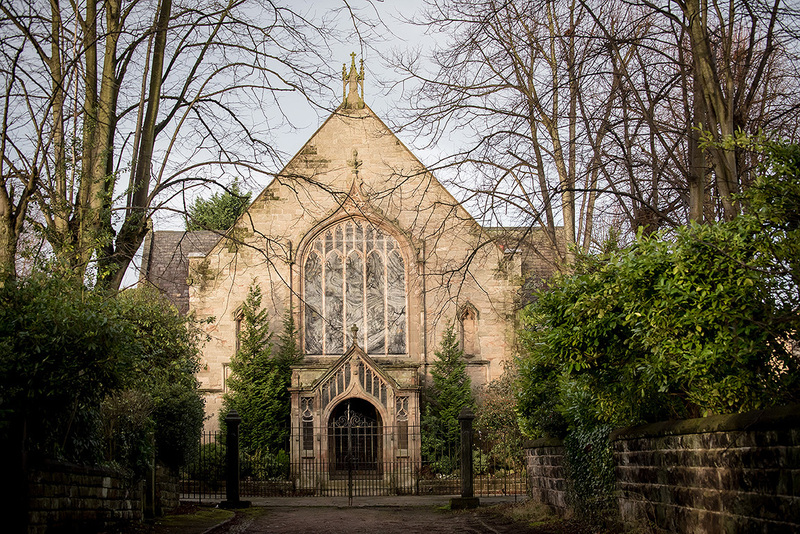 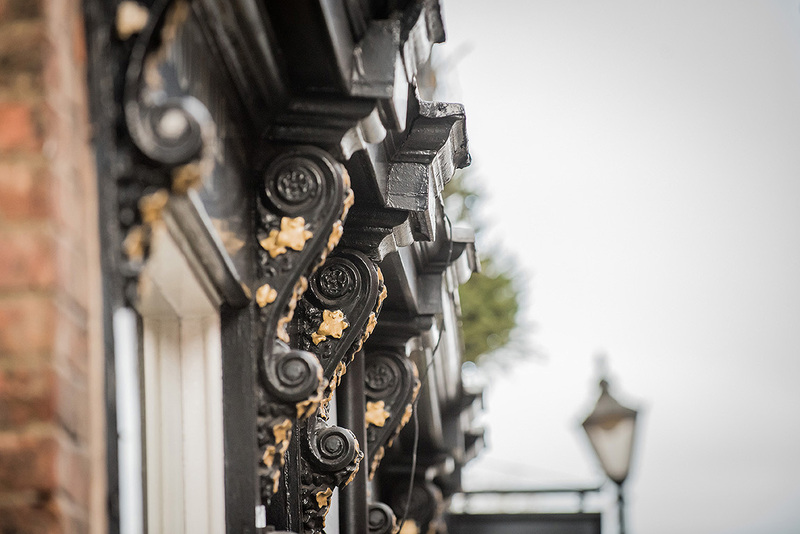 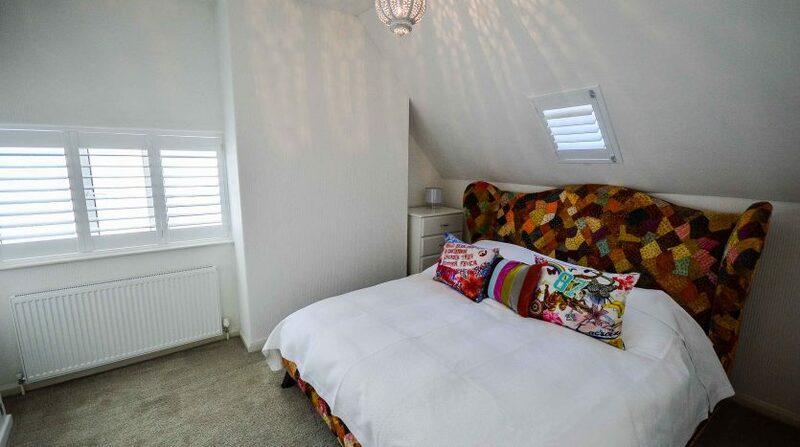 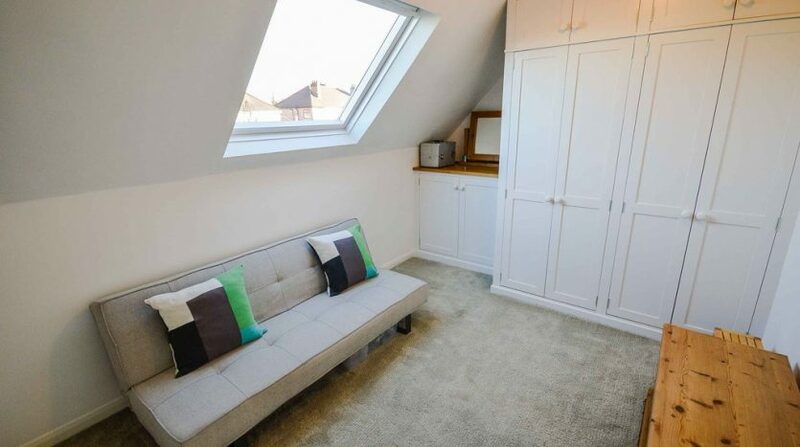 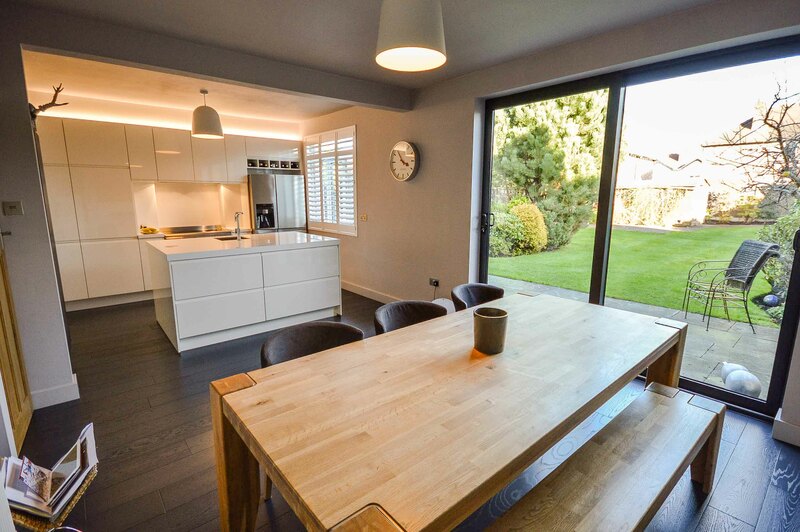 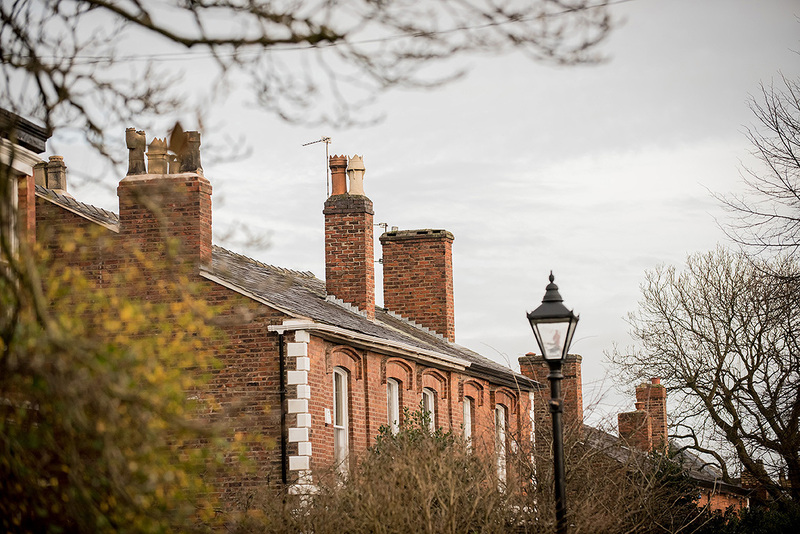 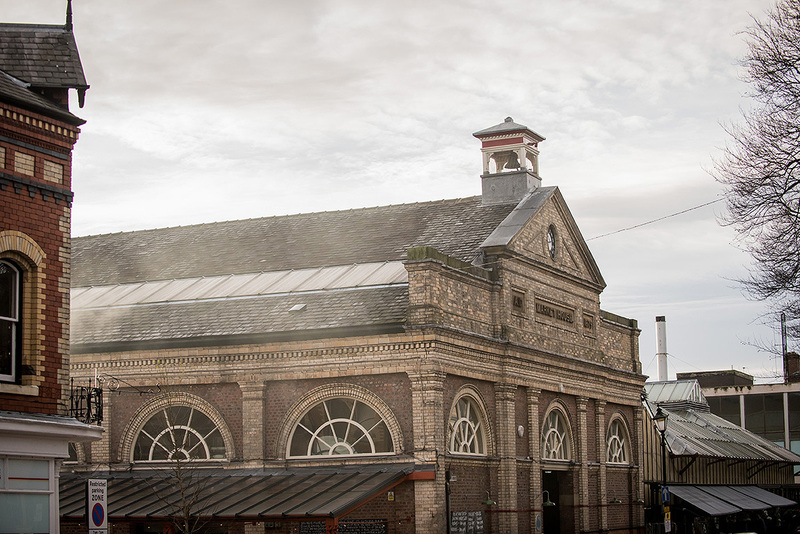 The location is ideal, short stroll into Hale village with its fashionable wine bars and restaurants; also ½ mile from the amenities of the market town of Altrincham and Railway Station providing a Metrolink commuter service into Manchester. 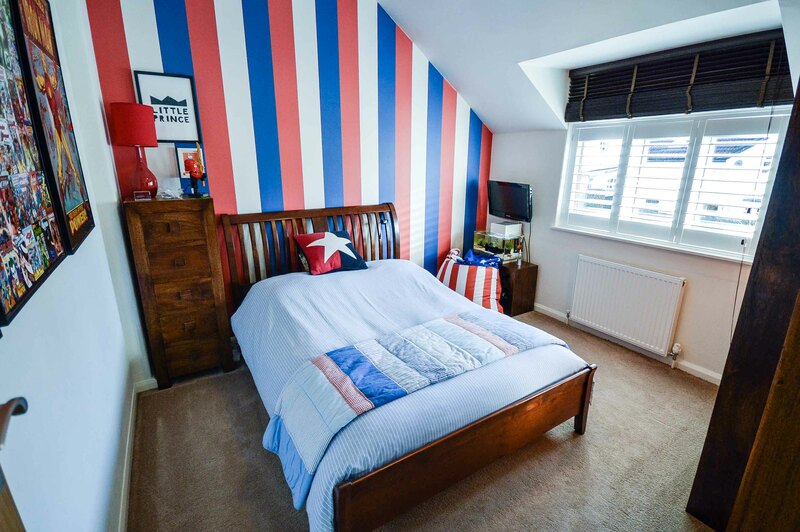 The property also lies within the catchment area of highly regarded Primary and Secondary schools such as Stamford Park School, St Vincents RC School, Loreto Grammar School for girls, North Cestrian Grammar School and Altrincham Grammar Schools for boys and girls.